Hello everybody, In this tutorial we’ll be creating a wordpress mockup layout with some 3D elements to it. I really enjoy natural, floral brushes – something that always comes handy while creating some new web designs, posters or everything else related. In the list you will find different Photoshop brushes for every taste – really inspiriting too! I have a bunch of different brushes downloaded on my computer, but I wanted to see the best of them just in the one place. 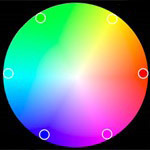 I wanted to create this list, because there are times when I struggle choosing my design colors – for me it’s not always easy task to just play with the colors and choose the right ones – of course, there are few favorite colors for everybody, but finding new great color combinations are not so easy task. That’s why there a lot of helpful resources to ease this task, and I am here to show You those! Hopefully this will help You to create new designs and the process will become a little easier. 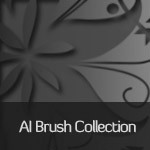 Illustrator brushes are always underestimated and AI brushes are a lot less around than Photoshop brushes, but I looked all over the web to search for the best brushes, I could find. Also note, in Adobe homepage You must register in order to download brushes, but I think it’s really worth it and for the most cases read description to use brushes correctly. 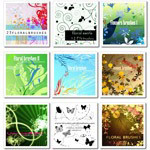 So here You have 30 beautiful Illustrator brushes for daily use! And I am really hoping these brushes will help in Your workflow, as these do and did in mine. Cheers! If You are developing web designs, then You know there is times when You struggle without any ideas. That’s the time when these web sites becomes handy. I collected nice list with some of the most known web gallery sites showcasing and listing well design sites into different categories, letting You to promote and demote all designs. Every site is a little bit different, so make sure to check everyone of these and pick up Your most favorite ones. Hope this list will help to get Your inspiration back.